It’s a tripeptide found in every cell of every living body, a building block of cell health and regeneration. To understand it is to gain insight into the origin of life itself. So it’s with enormous pride that Japan’s KOHJIN announces its 50th anniversary. A half century of bold, precedent-setting research and development of this most fundamental and essential substance on which we all depend, natural L-glutathione (GSH), that has resulted in its being the highest-selling glutathione in the world. Japan’s KOHJIN Life Sciences, a wholly-owned subsidiary ofMitsubishi Corporation Life Sciences, was among the first laboratories to herald the importance of L-glutathione back in the 60s, when its benefit was first demonstrated as a “first line of defense” against the effect of toxins, including environmental pollutants, upon the body. KOHJIN then studied the relationship between glutathione levels and rigorous exercise, a bodily stress we regularly impose upon ourselves, both by choice and of necessity. Peer-reviewed clinical data showed that when consumed in sports drinks, KOHJIN’s OPITAC™ was able to replenish GSH levels more quickly and more digestibly than other formulations, resulting in better performance and higher endurance. Finally, in 2013, it was KOHJIN that delivered clinical proof that oral supplementation of L-Glutathione in its patented, naturally-derived form, could arrive intact in the intestine, cumulatively increasing its volume in blood serum, and providing benefit identical to GSH produced by the body itself, the presence of which diminishes with age. This news so shook the nutraceutical world that KOHJIN officially changed the name of its world-famous GSH to OPITAC™, to reflect that momentous discovery, and the fact that though KOHJIN may have started a glutathione revolution, it’s still the only maker whose non-GMO formula is naturally-processed from start to finish to ensure optimum biocompatibility for optimal health. It’s this groundbreaking spirit and untiring practice that have made KOHJIN’s OPITAC™ the largest-selling brand of glutathione in the world since the company’s inception, renowned for its unswerving purity and consistency. And it remains the only glutathione to hold U.S. FDA-Notified FULL GRAS status, the result of 50 years of peer-reviewed research, and manufacturing processes that set the standard for all others. Proudly Halal and Kosher certified, these and other distinctions attest to its quality, safety, and universal application, proved over decades. With this 50th anniversary, KOHJIN Life Sciences rededicates its commitment to serving society with the strictest clinical standards of research, and to the proposition that the key to long life, vigorous health, and beauty that flourishes from the deepest reaches of the human anatomy outward to greet the world each day, starts with decisions we make about our nutrition. 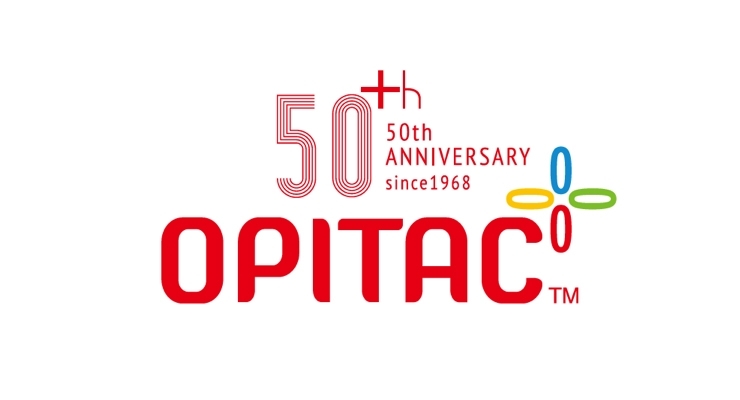 Learn more about KOHJIN’s OPITAC™ on the Web [ https://opitacglutathione.com , https://www.facebook.com/OpitacGlutathione ] and visit us at SupplySide East this April (Booth E138).